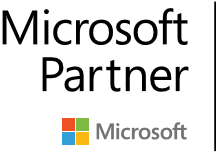 As a GOLD Microsoft Partner specializing in data analytics solutions, Enlighten Designs continues to explore the full breadth of Power BI including the creation of interactive infographics award winning Power BI Custom Visuals. The future of storytelling is beautiful, interactive and data-driven. 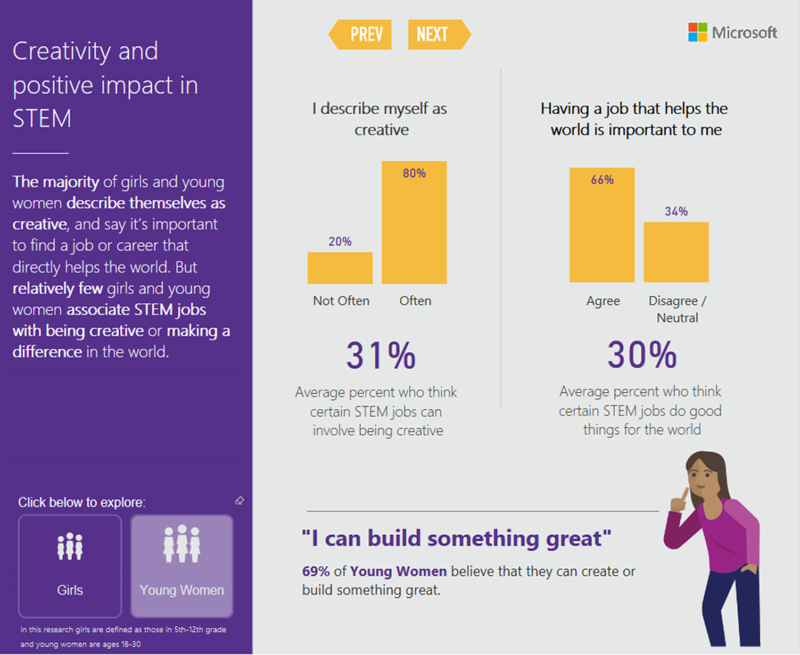 With Power BI you can create meaningful data stories to engage your online audiences. Visual content is 40x more likely to be shared on social, which means the potential for 40x more impact. 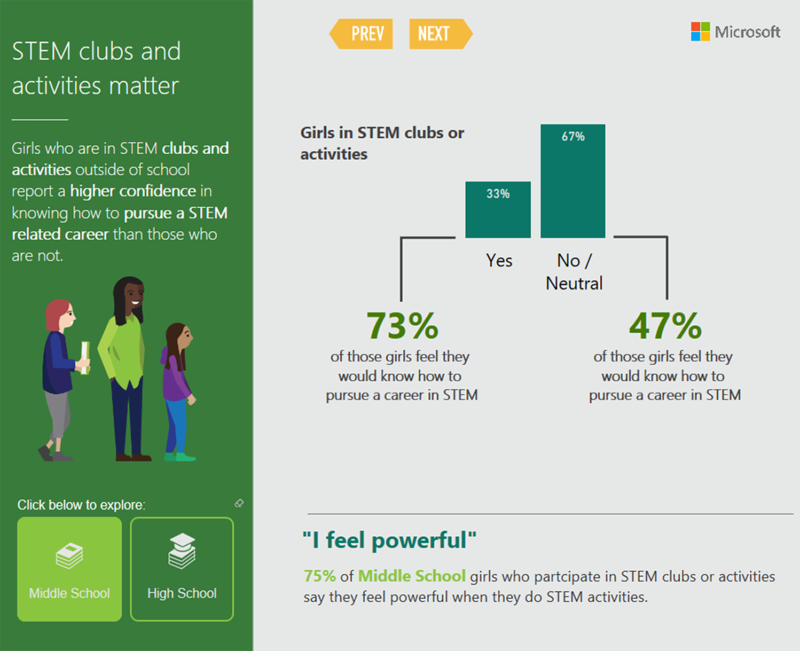 As specialists in visual creation and a long standing Microsoft Partner, Enlighten Designs was approached by Microsoft to create an interactive infographic to bring attention to the deficit of girls pursuing education in STEM subjects based off research they had commissioned from KRC Research. 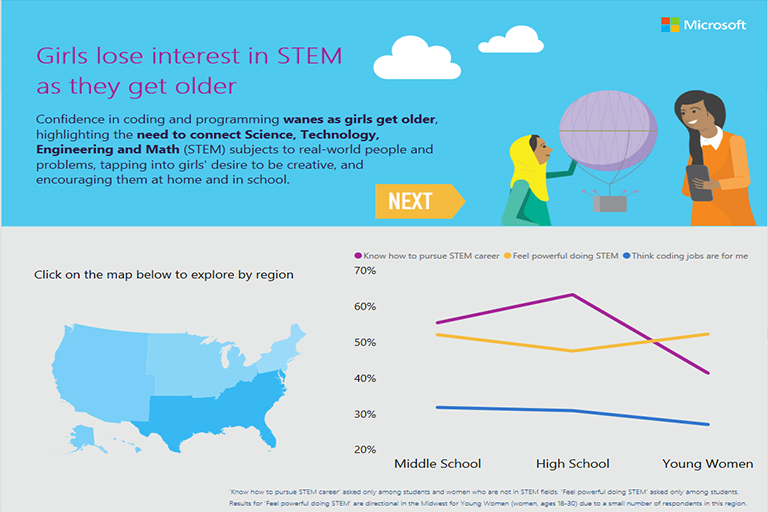 Using Power BI and publish to web functionality, this infographic was then published through Microsoft’s media channels to engage their online audiences. Data storytelling establishes an organization as an authority and thought leader, which is increasingly important as brands transform from advertisers to publishers. This foray into Power BI visualizations has developed into a deep specialization for Enlighten Designs, expanding to applications in data journalism, broadcast television, live elections and much more.